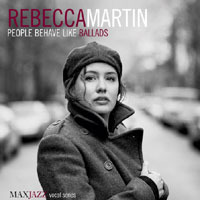 Rebecca Martin's name keeps showing up in the jazz press, but she's more appropriately classified as one of the best singer/songwriters today. She's issued sessions heavy on standards, specifically 2002's Middlehope (Fresh Sound New Talent, 2004), and sung them lately with drummer Paul Motian, garnering her deserved high praise. But as stunning and personal as her work in the standards realm has been, her real strength is crafting and presenting her own songs, intimately spellbinding listeners into her world. She does all this with the big, bad jazz boys. Here, with a drummer no less able to spin a yarn without lyrics, Brian Blade, and a bassist whose instrument sings as mellifluously as she (and who also mans the husband chair)Larry Grenadier. Kurt Rosenwinkel on guitar and keyboards, in a stellar sideman performance, reveals deep pop sensibilities and skills in his dual commitment as producer and chief sound sculptor. 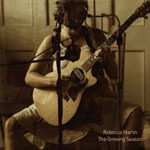 Martin's vehicles for intimacy are anything but standard-fare, crafting songs that forsake narrative for a priority on imparting sentiment, and fashioning melodies that give precedence to forming naturally cascading cadences over the guidelines of traditional harmony. "The Space In a Song to Think" crystallizes, with an uplifting, spiritual lilt, all that she's about, rapturously conveying things the way she feels them. She merely posits that in plying her craft, "What if all I meant to do, was to clear an open space in between the page and ink, where there was only you?" As she repeats the words "only you," four times, magically haloed by Rosenwinkel's Rhodes, it becomes an incantation, a rhapsodic spell wherein, exactly one minute into the record, you have indeed become hers, to follow her wherever she may wish. Most importantly, the stimulus to follow comes from within, not primarily because of what she's saying, but because she's exposed a feeling, an incentive already deep inside. Musically substantive, Martin's arpeggios outline the melodic contour while providing the springboard from which Rosenwinkel can progressively stack harmonies, culminating as his outro incorporates hand-over-hand dissonant clusters. "A Million Miles" ascends in moveable chord forms, stated simply by Martin and fleshed out by Rosenwinkel. The songstress totally gives herself unto her love, and within the music, to us all, prodded by arching guitaras only Rosenwinkel can arc at times echoed subtly by her doubled voice. Martin stretches syllabic snippets over one course of the progression to state "I don't know why it took this long to find your face in the crowd." But when she tags it with "I found you now," as a restrained scalar statement by Rosenwinkel simultaneously enters, we are transported, swept up with her again, as the simple sentiment is revealed to be mysticaleach of us examining the overwhelming odds of ever finding our soul mates. Martin is much more than a songwriter clinging passionately to a dogma of honesty in lyric and harmony, and achieving it. 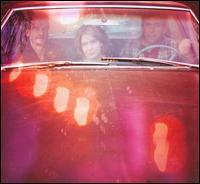 Emotion radiates from her recordings at an unusual levelone that demands reciprocation. Track Listing: The Space In A Song To Think; A Million Miles; Just A Boy; To Prove Them Wrong; What Feels Like Home; Lullaby; As For You, Raba; After Midnight; Make The Days Run Fast; Free At Last; Pieces; Talking; You're Older. 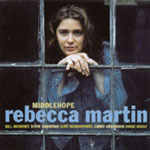 Personnel: Rebecca Martin: vocals, acoustic guitar; Kurt Rosenwinkel: electric guitar, piano, nylon string guitar, keyboards, Fender Rhodes, tack piano, vibraphone; Larry Grenadier: acoustic and electric bass; Brian Blade: drums and percussion.